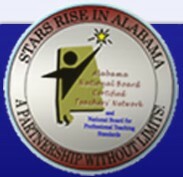 AL NBCTs, mark your calendars for Wednesday, April 17, 2013. We are holding a Hill Day to meet with our state's legislatures to inform them on what it means to be an NBCT and how it affects Alabama's students. 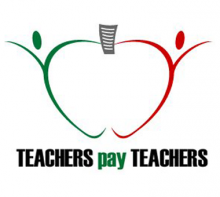 We also want to thank them for our stipends. If you are interested in meeting with us in Montgomery on that day, please email alnbctnetwork@gmail.com. More information will be provided as the time nears. Having trouble viewing our newsletter? View it online. Standardized testing season is nearly upon us. 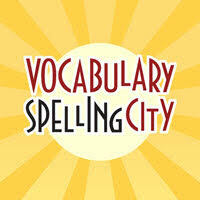 Use VocabularySpellingCity to prepare students for writing mechanics, vocabulary, and word study! Premium Members have access to writing practice activities. State writing assessments often require students to write a particular type of paragraph. Instructions can be customized to help students practice these skills. You can include instructional videos on descriptive paragraphs, narrative paragraphs, topic sentences, supporting details and more. In many states, spelling counts on writing tests, so be sure to have your students practice using our free spelling games! Premium Members can enter vocabulary lists for their students to practice while playing engaging word games. Word-O-Rama alternates definitions, fill-in-the-blank context-rich sentences, synonyms and antonyms. Vocabulary tests taken by logged-in students on SpellingCity.com are automatically recorded for their teachers. Non-Premium members can have their students practice academic vocabulary including Math Vocabulary and Science Vocabulary. These word lists, available in Teaching Resources, can be used to play all 25 games and activities. With conventions like spelling and grammar gaining importance in standardized tests, word study is critical to success. Teaching Resources contains lessons, games and specialized word lists on various topics that help students prepare. Create a word list and customize sentences similar to those in our Analogies games to help students practice this skill. Other Teaching Resources pages that help students prepare for standardized tests include Synonyms, Antonyms, Multiple Meaning Words and Homonyms, Homophones and Homographs. WOW! What an honor to be selected as a Top Elementary Teacher on Twitter. I am #32 among some great teachers. Twitter is a fantastic way to communicate and collaborate with teachers across the country. So many of the things that I have learned, shared, and incorporated are because of my networking on Twitter. If you are not a Twitterer, I suggest you give it a try. My Twitter handle is @WhiteheadsClass. Feel free to follow.